Whether a new Installation, Distribution Equipment or Additional Electrical Services to an existing install – with our team of qualified electrical engineers we can Design, Supply & Install your Commercial & Domestic electrical requirements. We cater for both Planned Testing & Inspection and Reactive Breakdown & Repairs to Electrical Services. Our team handle all elements of Electrical Services, Maintenance, Fault-Finding and Remedial Works. JDB Services specialise in working in the commercial sector offering building & mechanical facilities and maintenance services to the Retail, Office, Industrial, Food & Leisure and Education Sectors. All Electrical Services are provided by Fully Qualified & Time-Served and Fully Insured Engineers, directly employed by JDB Services. 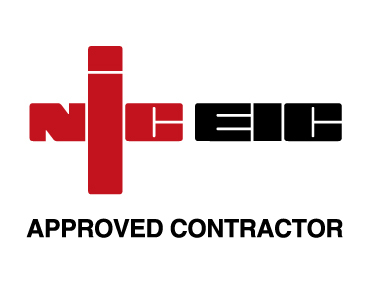 Please click here to see our NICEIC certificate. Please click here for Health & Safety Information. Please take a moment to browse our website to see how we can help.